Hello guys, I guess you are enjoying your weekend. As for me over here, the weekend groove is awesome but there is one issue and it has to do with Opera News Airtime cash out. 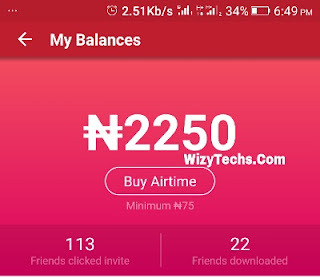 It's no longer news that Opera is giving free unlimited airtime to people who download the Opera News App and share referral links with friends. Remember you can earn yours now by downloading the app HERE. But the latest issue now is most people are no longer able to cash out their earned money. 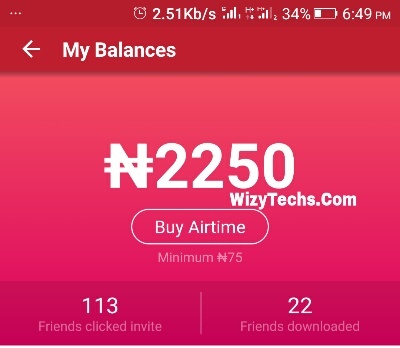 One of the followers of this blog wizytechs.com contacted me earlier today and narrated how he wasn't able to withdraw his earned referral bonuses but I told him he should check back later because I withdraw mine that same morning through airtime recharge. 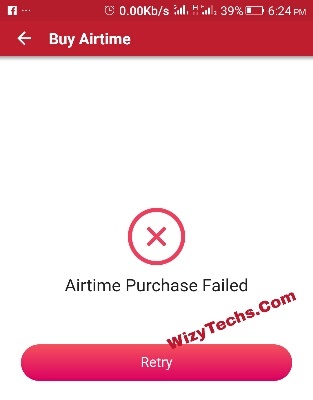 However, when I tried recharging again from the referral bonuses I earned this afternoon, I got this error message "Airtime Purchase Failed" . I thought it was a mistake or network, I tried again, them same thing. Then I used another phone number from a different network, yet the same issue. It now dawned on me that over N2,250 zi have inside Opera News App is stocked and gone. When I tried reading recent reviews on Playstore, many people were also complaining of not being able to recharge with the Opera News airtime bonus. Then, I started wondering... Could this be an intentional act by Opera or could it be a system error? READ ALSO: How To Earn Unlimited Airtime With Opera News App. Anyway, the company is yet to respond on this issue. How about you? Were you able to cash out your own airtime? Wow, they must have noticed the recent problem from Nigerians cheating on them via "Phone Id Changer'.